This is full, original base game (the updated 1stedition) PLUS the "Math Lesson" Expansion. 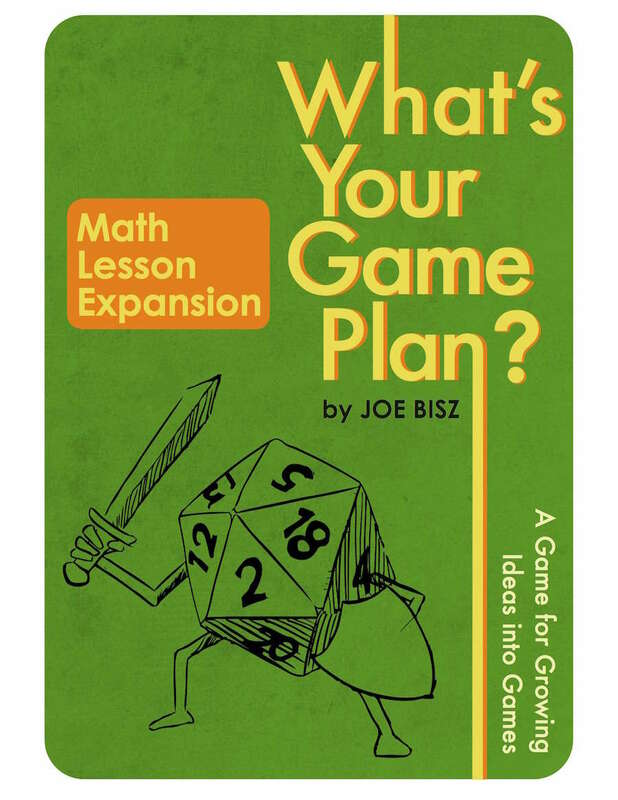 The “Math Lesson Expansion” is a set of 9 new Math Lesson cards designed to be used with the base game “What’s Your Game Plan?”. The Math Lesson Expansion is suitable for lessons taught in elementary through graduate school. If you are a Math teacher or curriculum director at any level—or a parent, content designer, or game designer interested in creating educational Math games—this expansion is a good choice for you. except the product on this page also gives you the "Math Lesson Expansion." If you do not want the Math Lesson Expansion, you should instead purchase the item at the previous link. You can view all available expansions and products for the game on my website joebisz dot com (select the link “What’s Your Game Plan?”).